Any time Guillermo del Toro makes a movie, we take notice. And when one gets reviews like The Shape of Water is getting, we also become very excited. 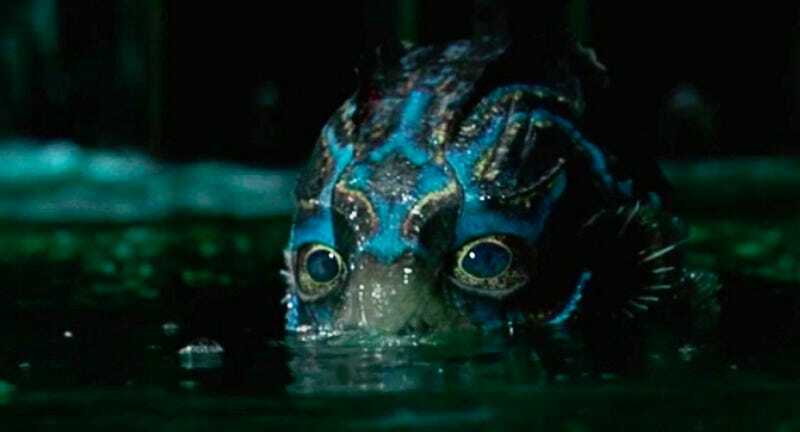 A new featurette adds to the anticipation by providing new footage of, and info about, the film’s mysterious fish man. That said, it also goes a little too far. Not as far as we know the movie goes, mind you, but there are some shots in here that are just a tad too revealing. If you’re a stickler for spoilers, you may want to stay away. But, if you want to find out how Doug Jones brought this unique character to life, check it out. The shots I’m talking about are the one of the character in a movie theater, and last one of him angry. Now, of course he gets angry at the movie’s villains, but we didn’t have to see it here. The other shot makes it seem like there’ll be a Cinema Paradiso moment where the character will fall in love with the movies. If there’s something like that in The Shape of Water, I wish I didn’t know about it. Or, if that moment isn’t in the movie, now I kind of wish there was. Either way, I loved hearing about how Jones and del Toro worked together, and the references used to bring this creature to life. This movie is already looking like an absolute must-see. The Shape of Water opens December 8.